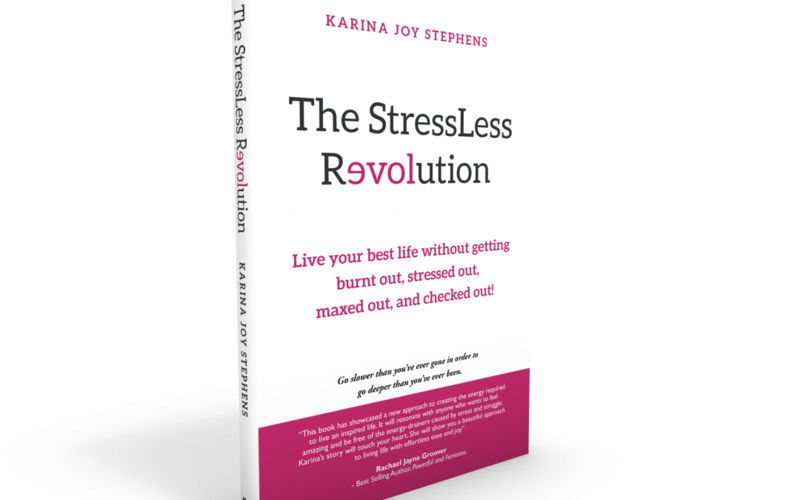 I have been getting awesome feedback from my latest book, The StressLess Revolution – Live your best life without getting burnt out, stressed out, maxed out and checked out. 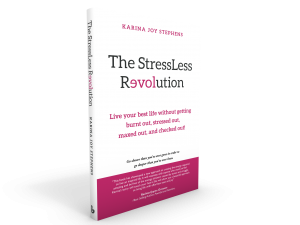 It’s been so good that I wanted to give you a chance to read a chapter if you haven’t purchased the book yet and see for yourself how finding a new pace to life actually speeds up your desires and creates effortless manifestation. “The Pace of Grace is in fact the flow of life which unfolds when you are guided by Source; whether it be God, Buddha, the Divine, it doesn’t matter what you call it. When we slow down physically, we amp up our intuition, we hear God more clearly. We pay attention; our sixth sense becomes sharper. It is then you attract what it is you really want. Rather than wanting lots of stuff you get to learn what your soul’s desires are. Your world gets bigger and expanded; not in a hurried sense of bedlam and chaos, but a natural organic ease. Marianne Williamson once wrote that our outside world is a reflection of our internal conditioning. What is happening internally is creating the energy that you are. As I changed physically, mindfully, and spiritually, my outer world shifted in response. In the presence of this peaceful state, I began to get new ideas and new revelations were commonplace.